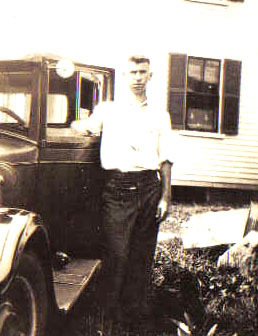 Robert Edmund O'Malley was born on 3 May 1912 at Rochester, Strafford, NH. He was baptized on 12 May 1912 at Rochester, Strafford, NH. 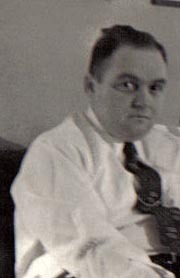 He married M. Jeannette Alice Dubois, daughter of J(osèph) Napoléan Dubois and M. Florida Adèle Binette, on 3 May 1938 at Newmarket, Rockingham, NH. Robert Edmund O'Malley died on 28 November 1990 at Rochester, Strafford, NH, at age 78. He was buried after 28 November 1990 at Holy Trinity Cemetery, Somersworth, Strafford, NH. M. Jeannette Alice Dubois was born on 25 December 1913 at Newmarket, Rockingham, NH. She married Robert Edmund O'Malley, son of Michael O'Malley and Julia Gertrude Keating, on 3 May 1938 at Newmarket, Rockingham, NH. M. Jeannette Alice Dubois died on 5 September 1989 at Dover, Strafford, NH, at age 75. She was buried on 8 September 1989 at Holy Trinity Cemetery, Somersworth, Strafford, NH. Michael O'Malley was born on 6 August 1869 at Somersworth, Strafford, NH. He married Julia Gertrude Keating, daughter of Patrick Keating and Ellen "Nellie" O'Brien, on 15 June 1904 at St. Mary's Church, Rochester, Strafford, NH. Michael O'Malley died on 8 May 1955 at Somersworth, Strafford, NH, at age 85. He was buried on 11 May 1955 at Holy Trinity Cemetery, Somersworth, Strafford, NH. Mary Virginia Hinners was born on 7 February 1944 at New Rochelle, Westchester, NY. She died on 16 May 2005 at Kingston, Ulster, NY, at age 61. She was buried on 16 September 2005 at Hurley Cemetery, Hurley, Ulster, NY. James Lavin was born on 20 October 1926 at Cashels, Aghamore, Mayo, Ireland. He died on 10 January 1996 at Manhasset, Nassau, NY, at age 69. He was buried after 10 January 1996 at Locust Valley, Nassau, NY. 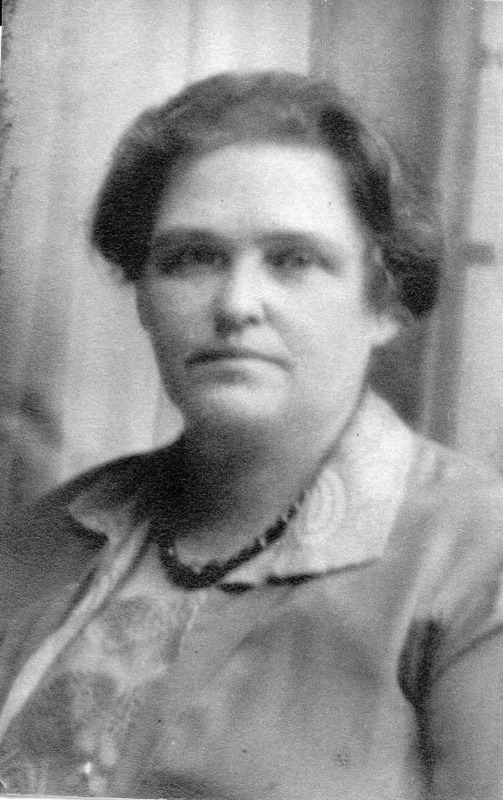 Julia Gertrude Keating was born on 19 December 1873 at Rochester, Strafford, NH. She married Michael O'Malley, son of Michael O'Malley and Bridget Heneghan, on 15 June 1904 at St. Mary's Church, Rochester, Strafford, NH. Julia Gertrude Keating died on 8 October 1936 at Somersworth, Strafford, NH, at age 62. She was buried on 10 October 1936 at Holy Trinity Cemetery, Somersworth, Strafford, NH. Leo Freeman O'Malley was born on 3 April 1905 at Somersworth, Strafford, NH. He was baptized on 9 April 1905 at Somersworth, Strafford, NH. 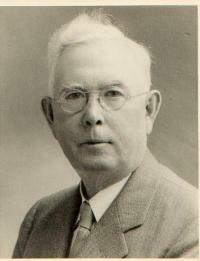 He married Clara Scoggin, daughter of Joseph Scoggin and Marie ( ) Scoggin. Leo Freeman O'Malley married Anne Frances Kelleher on 20 November 1965 at Westboro, Worcester, MA. 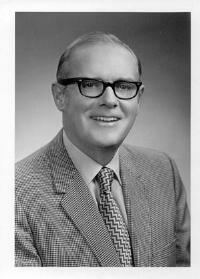 Leo Freeman O'Malley died in March 1978 at Westboro, Worcester, MA, at age 72. He was buried at Holy Trinity Cemetery, Somersworth, Strafford, NH. 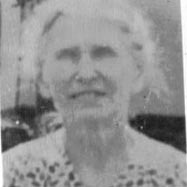 Clara Scoggin was born on 13 March 1894 at Beaumont (Ennis), TX. She married Leo Freeman O'Malley, son of Michael O'Malley and Julia Gertrude Keating. Clara Scoggin died on 22 August 1964 at Bayonne, Hudson, NJ, at age 70. She was buried on 26 August 1964 at Holy Trinity Cemetery, Somersworth, Strafford, NH. John Michael O'Malley was born on 22 January 1910 at Somersworth, Strafford, NH. He was baptized on 30 January 1910 at Somersworth, Strafford, NH. He married Alice Patricia Lowney, daughter of Dennis Lowney and Mary Ellen Afherton, on 15 November 1933 at New York, NY. 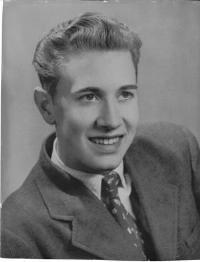 John Michael O'Malley married Eunice Smith at Chicago, Cook, IL. John Michael O'Malley married Alice Patricia Lowney, daughter of Dennis Lowney and Mary Ellen Afherton, on 6 July 1966 at Rye, Rockingham, NH. John Michael O'Malley married Eunice Smith on 4 May 1967 at Nashua, Hillsborough, NH. John Michael O'Malley died in February 1985 at Somersworth, Strafford, NH, at age 75. He was buried at St. Patrick's Cemetery, Hudson, Hillsborough, NH. 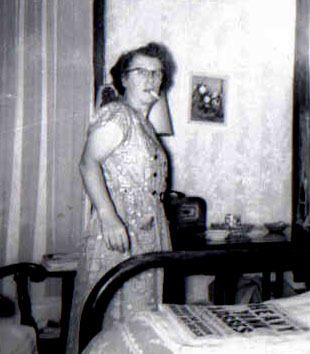 Eleanor Mary "Sr. M. Julia" O'Malley R.G.S. 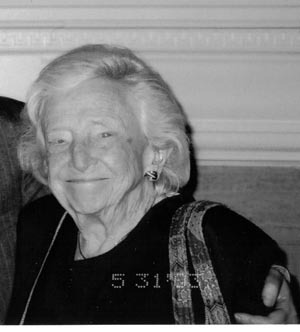 Eleanor Mary "Sr. M. Julia" O'Malley R.G.S. was born on 3 July 1913 at Somersworth, Strafford, NH. She was baptized on 15 July 1913 at Somersworth, Strafford, NH. 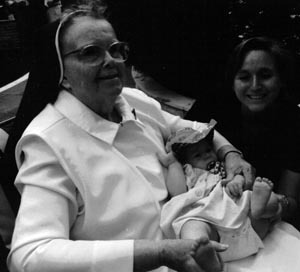 She was ordained in 1941 at Sisters of Good Shepherd, Peekskill, Westchester, NY. She died on 10 February 2000 at Huntington, Suffolk, NY, at age 86. She was buried at Madonna Heights, Convent of the Good Shepherd, Dix Hills, Suffolk, NY. 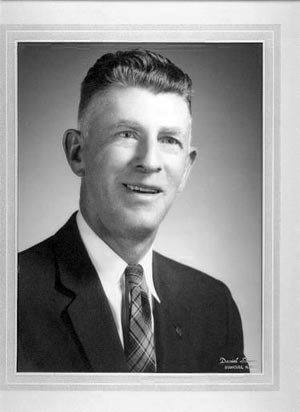 James Francis "Fran" O'Malley was born on 19 December 1917 at Somersworth, Strafford, NH. He was baptized on 30 December 1916 at Somersworth, Strafford, NH. He married Jessie Corine Lanouette, daughter of Albert Lanouette and Effie Belle Mellen, on 23 June 1943 at Somersworth, Strafford, NH. James Francis "Fran" O'Malley married Edith H. ( ) Woods circa 1984. James Francis "Fran" O'Malley died on 5 September 1987 at Falmouth, Barnstable, ME, at age 69. He was buried after 5 September 1987 at Holy Trinity Cemetery, Somersworth, Strafford, NH. Jessie Corine Lanouette was born on 14 April 1909. She married James Francis "Fran" O'Malley, son of Michael O'Malley and Julia Gertrude Keating, on 23 June 1943 at Somersworth, Strafford, NH. Jessie Corine Lanouette died on 26 October 1980 at Manchester, Hillsborough, NH, at age 71. She was buried after 26 October 1980 at Holy Trinity Cemetery, Somersworth, Strafford, NH. J(osèph) Napoléan Dubois was born on 15 July 1872 at St. Ferdinand d'Halifax, Mégantic, QC, Canada. He married M. Florida Adèle Binette, daughter of Étienne Honoré Binette and Marie Adèle Perreault, on 30 August 1897 at St. Ferdinand d'Halifax, Mégantic, QC, Canada. J(osèph) Napoléan Dubois died on 19 June 1924 at Newmarket, Rockingham, NH, at age 51. He was buried on 21 June 1924 at St. Mary's Cemetery, Newmarket, Rockingham, NH. M. Florida Adèle Binette was born on 17 November 1871 at St. Elzéar, Beauce, QC, Canada. She married J(osèph) Napoléan Dubois, son of Isaïe Dubois and Célina Côté, on 30 August 1897 at St. Ferdinand d'Halifax, Mégantic, QC, Canada. M. Florida Adèle Binette died on 7 January 1951 at Newmarket, Rockingham, NH, at age 79. She was buried circa 10 January 1951 at St. Mary's Cemetery, Newmarket, Rockingham, NH. (L. Ls.) 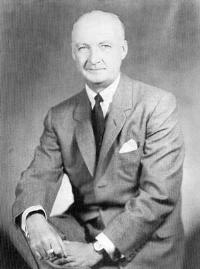 Philippe Louis Dubois was born on 19 October 1899 at Newmarket, Rockingham, NH. He married Florida Annette "Flo" St. Cyr, daughter of Philip St. Cyr and Marie Grondin, on 29 November 1923 at Dover, Strafford, NH. (L. Ls.) Philippe Louis Dubois died in April 1954 at Lawrence, Essex, MA, at age 54. He was buried at Sacred Heart Cemetery, So. Lawrence, Essex, MA. Florida Annette "Flo" St. Cyr was born on 19 October 1898 at St. Hyacinte, Drummondsville, QC, Canada. She married (L. Ls.) Philippe Louis Dubois, son of J(osèph) Napoléan Dubois and M. Florida Adèle Binette, on 29 November 1923 at Dover, Strafford, NH. Florida Annette "Flo" St. Cyr died on 30 May 1979 at Forest Hills, Queens, NY, at age 80. She was buried at Sacred Heart Cemetery, So. Lawrence, Essex, MA. Philip L. "Edmond" Dubois was born on 23 May 1926 at Exeter, Rockingham, NH. He died on 12 January 2006 at Kittery, York, ME, at age 79. Claire Dubois was born on 28 December 1933 at Lawrence, Essex, MA. She married Charles Arnold. Claire Dubois died in 2004 at Wentworth-Douglass Hospital, Dover, Strafford, NH. 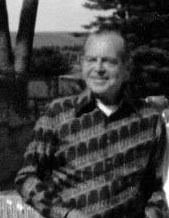 (Josèph) René Dubois was born on 27 August 1902 at Newmarket, Rockingham, NH. He married Antoinette Baril, daughter of Alfred Baril and Alma Baril, on 12 July 1935 at Newmarket, Rockingham, NH. (Josèph) René Dubois died on 3 December 1949 at Methuen, Essex, MA, at age 47. He was buried circa 6 December 1949 at Sacred Heart Cemetery, So. Lawrence, Essex, MA. (Marie A.A.) Eleanor "Alma" Dubois was born on 1 June 1904 at Newmarket, Rockingham, NH. She died on 30 October 1990 at Lawrence, Essex, MA, at age 86. She was buried at St. Mary's Cemetery, Newmarket, Rockingham, NH. (Josèph) Leo Dubois was born on 5 October 1905 at Newmarket, Rockingham, NH. He died on 6 September 1996 at North Miami, Dade, FL, at age 90. (Mary A.) Rachel Marie Dubois was born on 31 May 1908 at Newmarket, Rockingham, NH. She married John LaBranche, son of Alfred LaBranche and Anna Duquette, on 4 November 1930 at Newmarket, Rockingham, NH. (Mary A.) Rachel Marie Dubois died on 20 April 1987 at Rochester, Strafford, NH, at age 78. She was buried circa 23 April 1987 at St. Mary's Cemetery, Newmarket, Rockingham, NH. 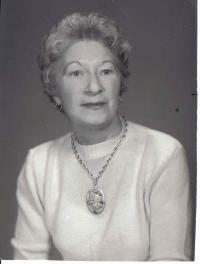 Marianna "Marion" Dubois was born on 30 January 1911 at Newmarket, Rockingham, NH. She died on 9 March 1988 at Lawrence, Essex, MA, at age 77. She was buried at St. Mary's Cemetery, Newmarket, Rockingham, NH. Donat Dubois was born on 14 June 1912 at Newmarket, Rockingham, NH. He died in October 1972 at Epping, Rockingham, NH, at age 60. He was buried at St. Mary's Cemetery, Newmarket, Rockingham, NH. 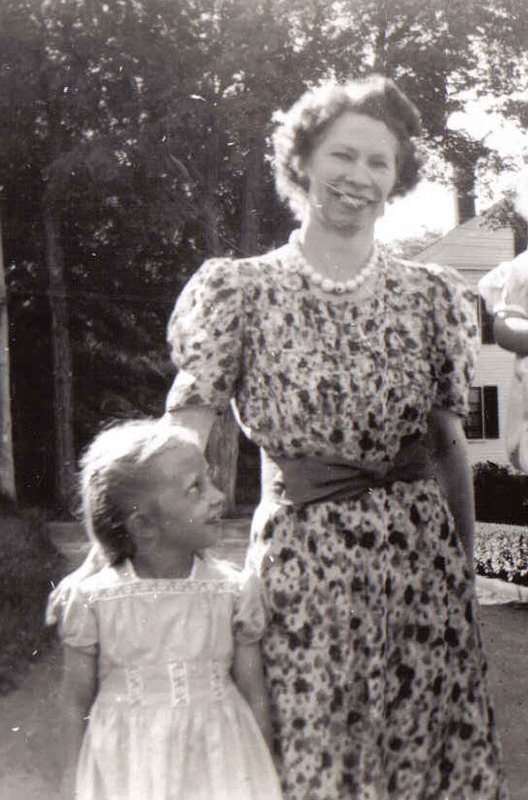 M. Germaine Lorette Dubois was born on 27 October 1915 at Newmarket, Rockingham, NH. She married Georges A. Verville, son of John Joseph Verville and Clarina Pepin, on 15 July 1939 at Newmarket, Rockingham, NH. M. Germaine Lorette Dubois married Frank LeBarge, son of George LaBarge and Ella Spencer, on 10 November 1956 at Stratham, Rockingham, NH. 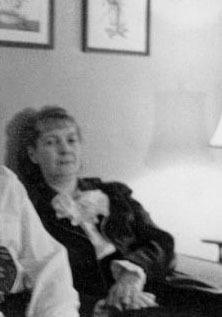 M. Germaine Lorette Dubois died on 15 January 1991 at Dover, Strafford, NH, at age 75. She was buried at St. Mary's Cemetery, Newmarket, Rockingham, NH. 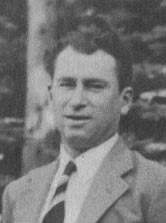 Georges A. Verville was born on 19 August 1916 at Somersworth, Strafford, NH. He married M. Germaine Lorette Dubois, daughter of J(osèph) Napoléan Dubois and M. Florida Adèle Binette, on 15 July 1939 at Newmarket, Rockingham, NH. Georges A. Verville died on 5 August 1956 at Manchester, Hillsborough, NH, at age 39. He was buried at St. Mary's Cemetery, Newmarket, Rockingham, NH. Diane Patricia Verville was born on 3 March 1947 at Exeter, Rockingham, NH. She died on 27 May 2011 at Dover, Strafford, NH, at age 64. She was buried on 1 June 2011 at Newmarket, Rockingham, NH. Frank LeBarge was born on 1 March 1910 at Kennebunk, York, ME. He married M. Germaine Lorette Dubois, daughter of J(osèph) Napoléan Dubois and M. Florida Adèle Binette, on 10 November 1956 at Stratham, Rockingham, NH. Frank LeBarge died in October 1981 at Manchester, Hillsborough, NH, at age 71. He was buried at Ashes buried at sea. Leo Patrick Sheedy M.D. was born on 15 April 1908 at Pittsburgh, Allegheny, PA. He married Virginia Clare Page, daughter of Frank T. Page and Elizabeth Louise Hogan, on 29 December 1936 at St. Paul's Cathedral, Pittsburgh, Allegheny, PA. Leo Patrick Sheedy M.D. died on 2 September 1970 at Pittsburgh, Allegheny, PA, at age 62. He was buried on 5 September 1970 at Calvary Cemetery, Pittsburgh, Allegheny, PA.
Virginia Clare Page was born on 20 October 1909 at Pittsburgh, Allegheny, PA. She married Leo Patrick Sheedy M.D., son of Patrick Francis Sheedy and Estelle (or Stella) Frances Brennan, on 29 December 1936 at St. Paul's Cathedral, Pittsburgh, Allegheny, PA. Virginia Clare Page died on 4 January 2004 at The Willows, Oakmont, Allegheny, PA, at age 94. She was buried on 8 January 2004 at Calvary Cemetery, Pittsburgh, Allegheny, PA.